This animal mask is the mask of the Egyptian Mau. This cat mask carries with it a god-like reverence. The Egyptians themselves were known to have worshipped the cats and went to great lengths to protect and serve this spotted beauty. 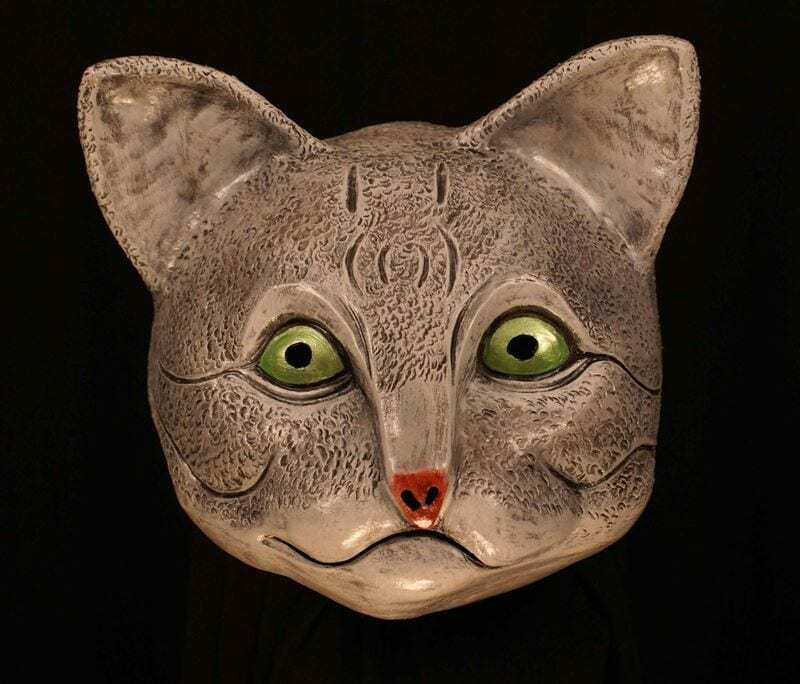 Channel the mysticism and magic of arguably the oldest breed of cat walking the Earth by wearing this striking theater mask. Let its green eyes be the vessel you need for the love of your performance art and wow your audience with this Ancient beauty. This custom mask made by mask maker Jonathan Becker is made out of neoprene and color washed with acrylics. Buy a mask now and spend your day knocking stuff off the table just for fun.